Seth Meyers talks favorite comic and funniest comic on YouTube show Hot Ones – AiPT! On the latest episode of Hot Ones, a show that asks questions and tests its guests with progressively hotter hot wings, Seth Meyers the guest. The episode tackles comedy, SNL, and to no surprise comic books. 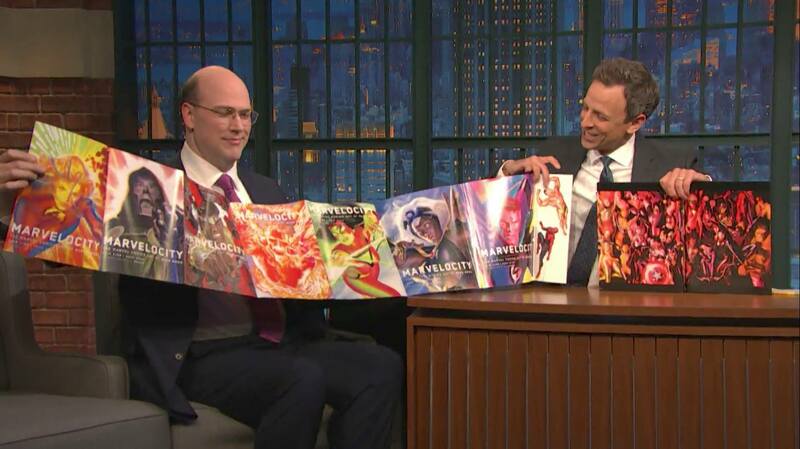 Meyers is known for having comic book creators on his show Late Night with Seth Meyers with gusts like Grant Morrison, Alex Ross, and Tom King. In the clip below, Meyers revealed the comic he’d save out of a fire is a Grant Morrison signed Animal Man comic. Then asked what the funniest comic in his opinion is Meyers chose Ambush Bug. He also picked Justice League International as a funny comic. Meyers was then asked to pick the best superhero guest to have on his late night talk show and he picked Bruce Banner. To finish off the comic book portion of the interview Meyers picked New Gods and Blue Beetle as properties he’d like to see Hollywood take to the silver screen. As a bonus question, Meyers picked Firestorm as the best superhero to take on the Hot Ones challenge.